CheckMySystems Ltd - the CCTV health and operation monitoring software specialist - will be using IFSEC 2012 to spotlight the results of a snapshot survey it has conducted using its CheckMyCCTV solution across 300 remote CCTV installations in the UK. The survey discovered, worryingly, that 75 per cent of the sites checked had one or more issues impacting on the operational performance of the CCTV systems. Problems discovered ranged from the system not being configured for the correct time to camera failures, recording and hard disk issues. 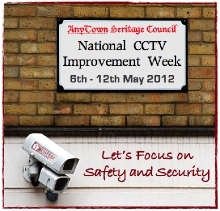 Looking in more detail at the survey's findings, the key shortcomings which the CheckMyCCTV monitoring software discovered included 16 per cent of systems which had one or more failed cameras, a critical lapse with all the risks thrown up in terms of gaps in coverage, leaving areas exposed to criminal activity. Another result in the CheckMySystems' survey found that 2 per cent of units were not recording at all. 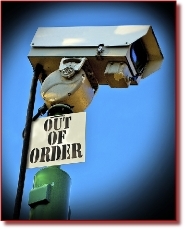 At first glance this may seem too low to be concerned about, but CheckMySystems contends that if the figure from the survey is any indication of what is happening UK-wide, the number of surveillance systems not working could run into many thousands of units. Significantly, once an incident happens, should a camera be off-line or a DVR unable to record, there is no way of going back to retrieve that vital evidence. In addition, 6 per cent of the systems checked had problems with alarms that were not activating, again far from ideal. A further problematic area, spotlighted in the survey, was the proportion of systems out in the field that were simply not meeting recommendations on recording duration. In fact, 45 per cent of the units surveyed were falling short of the 31 days requirement. Other figures which stood out in the snapshot figures included: the 31 per cent of systems that were found to have an inaccurate time by more than one hour. Time and date information is critical for any CCTV system as it can lead to issues searching for video evidence and events, especially if these are tied to times from other sources such as till receipts or ANPR (Automatic Number Plate Recognition) collection. Also, if a system uses recording or alarm schedules it can mean that the CCTV is not giving users the recording coverage they expect. Said Darren Rewston, the Managing Director at CheckMySystems Ltd: "Modern CCTV systems are often seen as a 'fit and forget' solution, with very few moving parts, and no day-to-day interaction required. However, as our snapshot survey starkly illustrates, over time many CCTV systems can develop faults and issues, which can have a detrimental impact on their operational effectiveness. Given this it is imperative that the right health and operation monitoring procedures should be in place to detect issues in a timely manner before problems escalate leaving gaps in the protection of people and property." "One answer is to adopt measures such as running automated remote health and operation monitoring software to check across a wide range of performance parameters, every hour of every day, so issues can be flagged-up and proactive remedial steps can be taken. Increasingly this is being seen as a more attractive, and cost effective, prospect than simply relying on time consuming manual checks or infrequent visits to site which may result in problems being unresolved for weeks or even months."